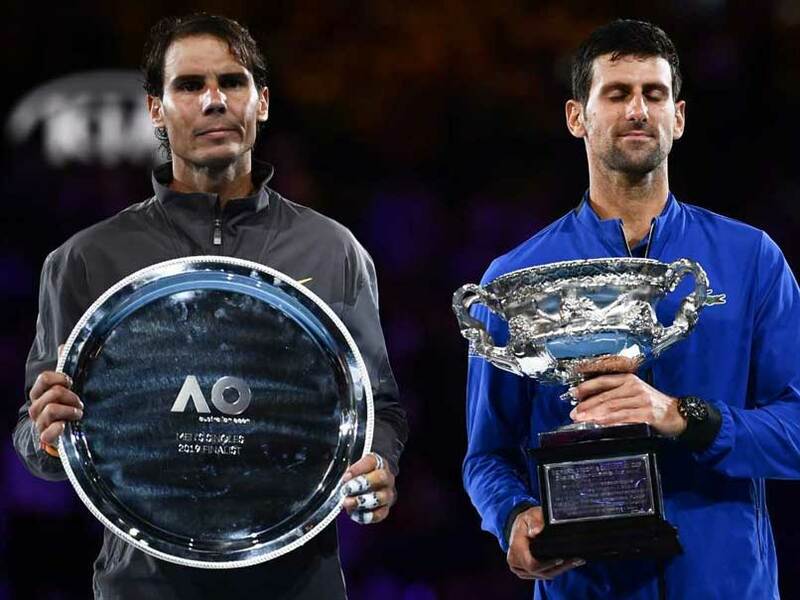 Australia Open 2019 Men's Singles Final, Djokovic vs Nadal: Novak Djokovic outclassed Rafael Nadal in the Australian Open final. World No.1 Novak Djokovic put in a dominant performance to demolish Rafael Nadal 6-3, 6-2, 6-3 and clinch the Australian Open title for a record seventh time. 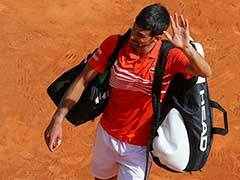 By the virtue of this victory, Djokovic clinched his 15th Grand Slam title. It was the first time World No. 2 Rafael Nadal lost a Grand Slam final in straight sets. 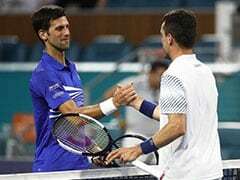 The Spaniard looked out of touch from the beginning of the match, on the other hand the Djokovic dominated the play and did not make many errors. After the match, Rafael Nadal concluded by saying, "I'm going to keep fighting." He also thanked his fans and congratulated Djokovic for the incredible win. 16:30 IST: Thank you for joining us on the live action. We leave you with all the highlights from the match. Until next time, it's goodbye! 16:20 IST: Novak Djokovic is the Australian Open Champion for a record seventh time! He celebrates it with a loud cheer and his signature style. 16:18 IST: Championship point for Novak Djokovic! What a scintillating performance here for the Serb. Absolutely brilliant to watch. 16:15 IST: Novak Djokovic one game away from 7th Australian Open title! He has now take a 5-3 lead in the third set, sheer dominance. 16:08 IST: Hold for Rafael Nadal, he pulls one back to make it 3-4. Nadal holds but he's still down a break in the third. 16:05 IST: Hold for Novak Djokovic, he takes 4-2 lead in the third set. There was a chance for Rafael Nadal to make a break, but he did not have enough on that moment. 16:02 IST: Break point for Rafael Nadal! He leads 40-30. 15:57 IST: Hold for Rafael Nadal, he now trails 2-3 in the third set. Rafa has never lost a Grand Slam final in straight sets. 15:54 IST: Easy hold for Novak Djokovic, how many time he has done it in the match already? And he has started with his little celebration already after taking a 3-1 lead in the third set. 15:49 IST: Long rally, Rafael Nadal takes the point! Before Nadal comes from behind to break and take a 2-1 lead in the third set. 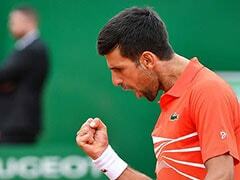 15:46 IST: What a return from Novak Djokovic! No chance for Rafael Nadal there. The Serb leads 30-15. 15:45 IST: Hold for Novak Djokovic, he makes it 1-1 in the third set. 15:41 IST: Hold for Rafael Nadal, he takes 1-0 lead in the third set. Unnecessary drop shots from Novak Djokovic was on display in that game. 15:37 IST: Rafael Nadal to serve first in the third set. 15:30 IST: Hold for Novak Djokovic, he closes the second set on 6-2. It's not looking good for the World No. 2 Rafael Nadal. 15:30 IST: Change of racquet for Rafael Nadal, but will it bring change in fortunes for the Spaniard, who has clearly looked out of touch so far. 15:28 IST: Three break consecutive points for Novak Djokovic! He takes 5-2 lead in the second set. Sending a message @DjokerNole breaks Rafael Nadal for the second time in the second set, having made just four unforced errors in the match so far. 15:23 IST: Advantage Novak Djokovic! He holds on to it to make it 4-2 in the second set, what a day it's turning out to be for the Serb. 15:22 IST: Second Deuce! Brilliant return from Rafael Nadal to make it 2-2 in the second set. 15:19 IST: Qualify from Novak Djokovic, hits the shot so close to the line. He has been so good to watch for the onset of the match! 15:15 IST: Break for Novak Djokovic, he continues to dominate the match. The Serb take a 3-2 lead in the second set.
.@DjokerNole breaks Nadal for 3-2 in the second! 15:11 IST: Another hold for Novak Djokovic, to make it 2-2 in the second set. 15:09 IST: Unforced error from Novak Djokovic, it's 15-15. 15:07 IST: Hold for Rafael Nadal, he leads 2-1 in the second set. Two quality holds for @RafaelNadal. 15:05 IST: Rafael Nadal plays it wide, away from the line. 30-all in the third game. 15:02 IST: Easy hold for Novak Djokovic, he comes from behind to make it 1-1 in the second set. 14:59 IST: Hold for Rafael Nadal! He takes 1-0 lead in the second set against Novak Djokovic. 14:55 IST: Rafael Nadal to serve first in the second set. Rare unforced error from Djokovic, Nadal takes a 30-15 lead in the first game of second set. 14:52 IST: What a rally! Djokovic takes the point in the end to lead 40-15. He closes the first set 6-3, it has been dominating from the Serbian with only a few signs of life from the World No.2 Rafael Nadal. 14:48 IST: Hold for Rafael Nadal! He now trails 3-5 against Novak Djokovic, thanks to a brilliant backhand return from the Spaniard. He has now cut short the deficit in the first set. 14:47 IST: Brilliant long rally! Novak Djokovic hits the net to allow Rafael Nadal take a 30-0 lead. Can he pull it back from the here? 14:45 IST: Rafael Nadal to serve. Brilliant angle on the forehand from the Spaniard to take a 15-0 lead. 14:42 IST: Unforced errors from Rafael Nadal, letting Novak Djokovic build on to his lead. The Serb now leads 5-2. The World No.1 has been so good to watch from the onset, with some brilliant serves and returns on display! 14:39 IST: Brilliant from Rafael Nadal! Novak Djokovic finds the net. Hold for the Spaniard, he now trails 2-4 against Novak Djokovic. 14:37 IST: Brilliant serve from Rafael Nadal, Novak Djokovic stretches to reach it but couldn't quite get hold of it. He takes a 30-15 lead. 14:34 IST: 17 minutes into the play, it's looking easy for Novak Djokovic, another hold for him as he takes a 4-1 lead in the first set against Rafael Nadal. 14:32 IST: Hold for Rafael Nadal, he looks pumped up, the Spaniard now trails 1-3 to Novak Djokovic.
.@DjokerNole comes out firing, winning the first points of the match. 14:31 IST: Advantage Nadal! Comes after a poor return serve from Novak Djokovic. 14:30 IST: Rafael Nadal comes forward plays a diagonal shot, first real aggressive move from the Spaniard to make it 30-30. 14:29 IST: Easy pickings for Djokovic, plays the return serve away from the reach of the Spaniard to take a break point and lead 30-15. 14:28 IST: Poor return serve from Novak Djokovic, 15-15 in the fourth game of first set. 14:25 IST: Another hold for Novak Djokovic, the World No.1 leads 3-0 in the opening set. 14:25 IST: Unbelievable miscued shot from Rafael Nadal! He plays it high and wide, easy picking for Novak Djokovic at the moment. 14:23 IST: Novak Djokovic breaks, dream start for the Serb. He now leads 2-0 against Rafael Nadal in the first set. Novak Djokovic to serve. 14:21 IST: Brilliant return from Novak Djokovic, he leads 30-0 in the second game. But Nadal plays it away from the Serb to make it 30-15. 14:19 IST: Rafael Nadal to serve, he takes the first 15 point. 14:17 IST: 141 kmp/h on the second serve by Novak Djokovic, he has taken the first game with ease. Brilliant backhand return on display from the Serb. 14:16 IST: Novak Djokovic to serve! We are underway at Rod Laver Arena as the Serb takes the first point. 14:14 IST: One minute to go says the chair umpire as the spectators take the edge of their seats for what is supposed to be a thriller of a contest! 14:12 IST: Rafael Nadal and Novak Djokovic had a brilliant run at the Australian Open so far. It's all to play for in the summit clash. 14:10 IST: Rafael Nadal and Novak Djokovic have taken the crowd as the crowd greets the superstars with a loud cheer. The mandatory coin toss takes place. We are minutes away from witnessing history! 14:00 IST: Hello and welcome to the live commentary from the men's singles final match between Novak Djokovic and Rafael Nadal. 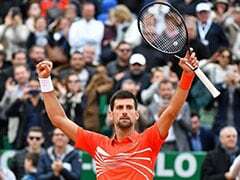 "These are the kind of matches that you live for: finals of Slams, playing the greatest rivals at their best," said Djokovic after dismantling Lucas Pouille 6-0, 6-2, 6-2 in a lopsided 83 minutes in Friday's semi-final. "What more can you ask for? This is where you want to be." It will be the 53rd meeting between the two giants of the game and their eighth in the final of a Grand Slam. Djokovic is a whisker ahead with 27 victories to Nadal's 25. But the Spaniard has the edge in Grand Slam finals 4-3 and has won the last three. In all Grand Slam meetings, Nadal has a clear advantage with a 9-5 win-loss record. No two men have met more often in the Open Era, and no pair have pushed one another harder or further. Their only previous final in Australia, in 2012, developed into a record-breaking 5hr 53min slugfest. It stands as the longest final in Grand Slam history -- some say the greatest -- and it left the pair barely able to stand at the trophy ceremony after an exhausted Djokovic staggered over the line 7-5 in the final set. Both are back in the final after injury-plagued seasons in 2018. Djokovic was hampered by an elbow that needed surgery after being bundled out of Melbourne in the last 16. Nadal retired injured in both Australian and US Open and had an operation on his ankle in November. 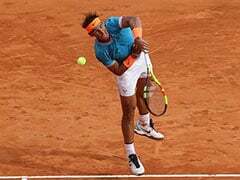 The Spaniard, who had not played a competitive match since the US Open before arriving in Melbourne, has rampaged through the draw without losing a game on his remodelled serve since the first round. He has not dropped a set.